Video game movies are currently mired in the same place superhero movies were back in the mid ‘90s. While there had been a few noteworthy comic book movies — Tim Burton’s two Batman movies, for instance — for the most part the ones that had been made were awful, and even the promising Batman franchise was eventually driven into the ground courtesy of director Joel Schumacher and his be-nippled bat suits. Now comic book movies are big business, but video game movies still haven’t had their breakthrough, their “Bryan Singer’s X-Men” moment, if you will. That may change soon, however, with promising game-based projects such as Assassin’s Creed, starring Michael Fassbender, in the works. Of all of the simmering game adaptations, however, the one I want to be good most is the Mass Effect movie. The bad news is, we likely won’t get to see it for another five years or so; the good news is, that at least means they’re not rushing it. Producer Avi Arad recently spoke to the gaming website Kotaku and gave updates on the big-screen versions of Uncharted, Metal Gear Solid, and, of course Mass Effect. We haven’t heard an update about the ME movie in a long time, specifically since last October when the project hired a new screenwriter. Arad’s update doesn’t have much in the way of specific details, but he does address the challenges and appeal of making a Mass Effect movie. It’s a big idea, that we, humans, are the least developed, the least trusted, it’s an interesting mirror image of our world, we are the aliens now.Love the project, it’s getting there, it’s been a lot of work; some movies take five, six years before they’re ready. As a Mass Effect fan, I’m just fine with them taking their time on the movie. There are few things more frustrating (from a First World Problems standpoint, anyway) than watching a project loaded with potential instead serve up a mediocre or downright awful final product. I’d rather wait another decade if it means actually getting a good Mass Effect movie. Of course, one of Mass Effect’s major strengths as a property is the rich fictional universe the folks at BioWare have created. 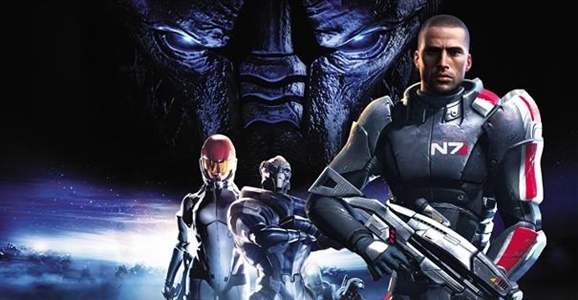 Even for gamers who were unhappy with how the first game trilogy wrapped up, there’s no denying that the Mass Effect mythology is packed with storytelling potential, the surface of which has only barely been scratched. That includes thousands of years of history, a cavalcade of interesting characters and themes, and a visual lexicon that echoes classic SF flicks such as Blade Runner and Aliens. Just how good could a Mass Effect movie look? Take a look at this damn impressive ME cosplay featuring several of the games’ most memorable characters. 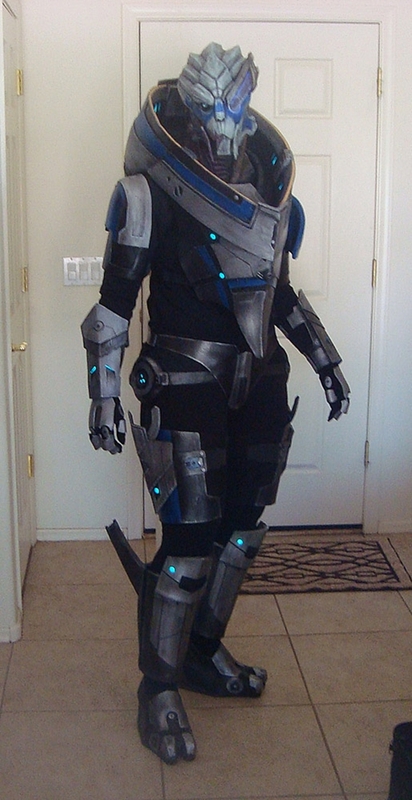 First up, a top-notch recreation of one of the Mass Effect series’ most beloved characters: Garrus Vakarian, a deadly Turian sniper and pretty much Commander Shepard’s BFF throughout the series. The costume and prothetics were created by Red Nebula Studios, and you can read tons of details about how they put it all together on their website. As good as that bit of cosplay is, here’s one that literally made my jaw drop. Anatomic-Latex.com created a suit modeled after Mass Effect 3’s EDI that is so convincing it’s hard to believe those are photographs below, instead of CGI images. 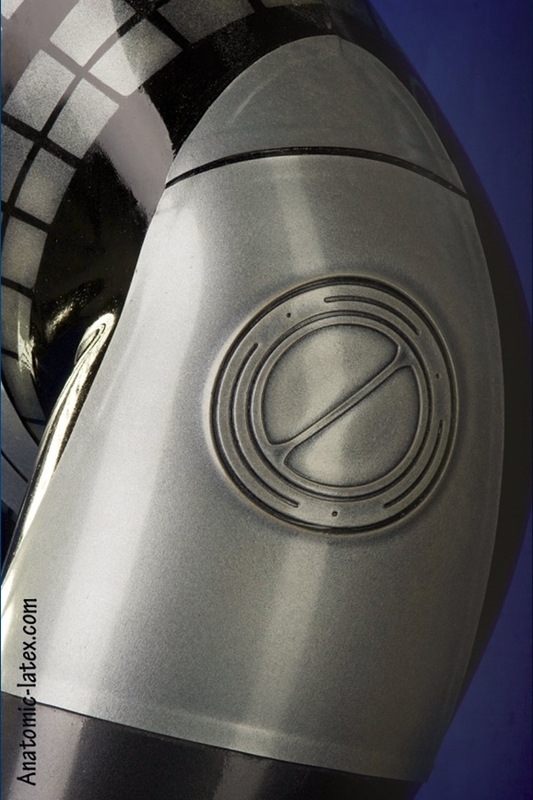 As you might guess from the name of the website, the EDI cosplay is a latex body suit. Seriously, my (latex) hat is off to these guys.